a political culture of the 21st century. It will furthermore provide political information and help generate decisions, exploring the scope of an open parliamentarian process. The first VIPA-Congress will offer opportunities for a direct exchange of experiences and perspectives of net-based participation as well as chances and limits of a trans-local web-based democracy. signing of the Weimar constitution. the so-called web 2.0 can essentially be seen as elements of new types of communication and polling. This is true despite the dependence on network monopolies and tendencies of “fragmentation” (Jürgen Habermas). democracy will establish in connection with a qualified and wide participation on a local, regional, national and international level. How will this affect or change the real politics? Interested parties will have the opportunity to communicate directly on opportunities and limitations of a direct web-based democracy at the first VIPA-Congress which will take place as part of the CYNETART event at the Festspielhaus Hellerau. 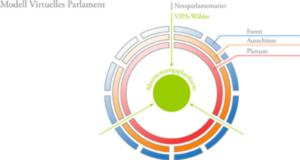 – virtual parliament: trans-local web-based democracy that goes beyond parliamentarism?! The world wide web appears as an open space. But there are state authorities acting behind the globalisation: an American network (.gov .mil .com) has been extended by national domains (.de .fr .ch). This division of the digital data network marginalises humans, who are oppressed in terms of eviction and censorship. Control by the established nations makes it impossible for unrecognised communities to articulate, legitimise and finally also to legalise themselves. In refugee countries and commercialised communication systems they will remain an off-line issue or sub-culture. 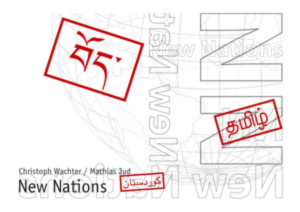 “New Nations” add a new dimensions to the existing internet by providing Tibetans, Kurds, Tamils, Uigurs, Sahrauis etc with their own internet domain. 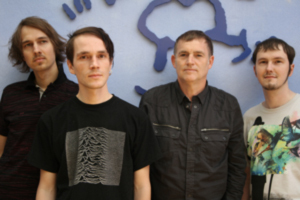 This community project facilitates a new culture of open and global communication.